Hira (second from the left) and her family are so grateful to people like you for changing her life with the gift of sight! 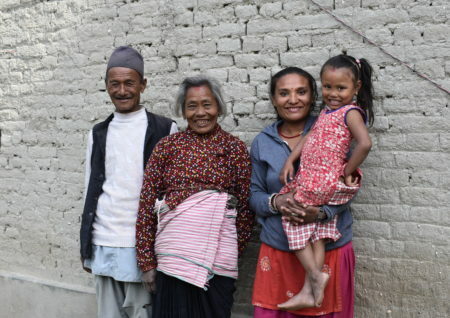 Hira is 74 years old and lives in an ancient village in central Nepal with her husband and her son and his family. The whole family depends on Hira’s son, who works as a labourer to make enough for them to get by. To help out, Hira gardens and sews clothing for the family, while taking care of her two granddaughters. She was happy she could contribute at home, but she was able to help less and less over time, as her vision dimmed. She felt like there was some invisible film over her eyes that she couldn’t blink away, and it only got worse. Two years later, she was completely blind. But our donors made it possible to help Hira through her fear. Two community health workers arrived at Hira’s home and screened her eyes. They explained that her condition could be treated, and they counselled her on the procedures that would restore her sight. Then they referred her to an Operation Eyesight-established vision centre for examination. Though she was afraid, Hira did go to the vision centre, where she was diagnosed with bilateral cataracts. She was then referred to Nepal Eye Hospital for surgery. Hira smiling now that she can SEE again! Thank you! Now, thanks to the support of eye health heroes like YOU, Hira’s sight has been restored! Hira is now an eye health advocate in her own community! 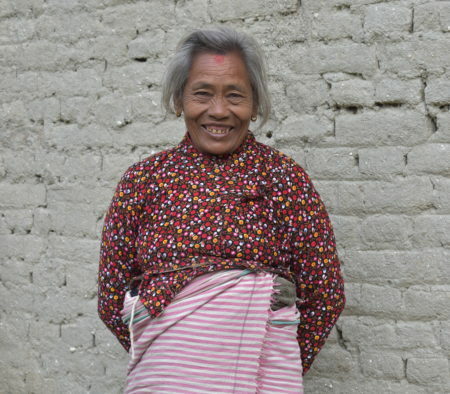 She is so grateful to the community health workers and the doctor who helped her regain her sight. And most of all, she’s grateful to kind people like you who made it all possible! Thank you so much for helping people like Hira get their lives back through the precious gift of sight! There are still thousands more women like Hira who need your help. 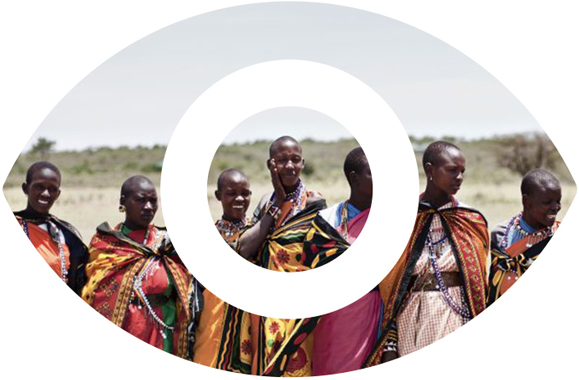 Donate today and become an eye health hero.